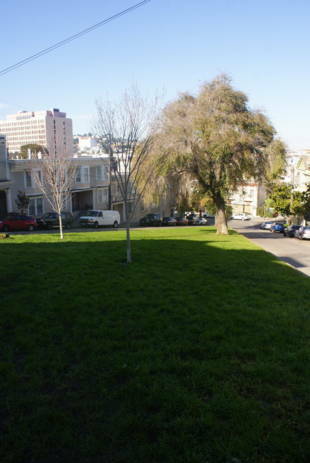 Sitting on a gentle slope, Coso-Precita Mini Park is a small, triangular shaped plot of open space located near Mission and Cesar Chavez Streets, and a few blocks from Bernal Heights Park. 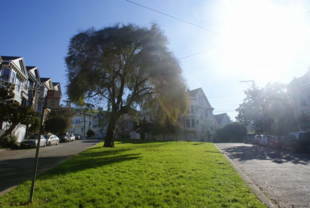 It features a grassy lawn, a pair of shade trees and a stump to sit on. Garbage receptacles and doggie clean-up bags are provided. There are no restrooms. 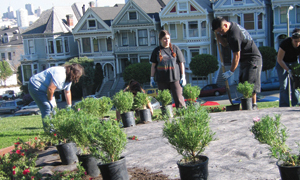 Coso-Precita Mini Park is owned by the San Francisco Recreation and Parks Department. 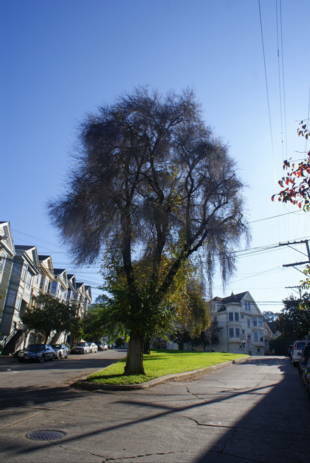 14-Mission, 36-Teresita, and 49-Van Ness to Mission and Precita Streets. Walk a short distance east on Precita, then make a right onto Coso Ave.